This Tribute page created by IKF President Steve Fossum. However most of the photos and graphics were created by other web sites. 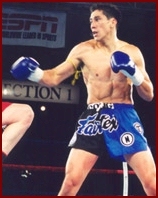 On August 1st, 2003 MuayThai Kickboxing Champion Alex "F-14" Gong, of San Francisco, California, USA was shot to death. (Story Below) Although he never held an IKF Title, we here at the IKF had been friends with Alex a long time. To us, titles and sanctioning body letters don't make friends, individuals do. For this reason, Alex will always be an IKF Champion in our hearts as wll as a leader and friend in the sport. He will always be remembered as a Champion to all of us in MuayThai and Kickboxing. 5'10", 155, 32 years old. What hits home is the fact that Alex did what any of us would have done, chase after a guy for harming our property. And I stress again, ANY of us would have, under the same circumstances, done exactly what he did... That could be any of us laying under that yellow blanket, ANY of us! However it's not. It is someone else. But not a stranger to us, not some random shooting, not a gang related killing. This was someone we all knew, which brings the circumstances of this story close to our hearts and forces us to reconsider our future actions more than we did a few days ago. It makes you think deeply about letting things such as this go, something none of us would have thought to do before... A Terrible but convincing way to learn a valued lesson for all of us, but a different lesson than most would think. You see, to many of us, Alex did not do anything "Wrong", and I will never agree with those who claim this to be an act of "Road Rage". This was very different. I mean where is the line drawn as to "Protecting what is ours" and "Acting upon something that will result in our death?" What a hard line to determine. This was just a reaction of a man. As a martial artist we are taught to "React" upon an "Action". We are also taught to determine in a split second in our minds the consequences of our reaction and conclude before we react that we will be justified as well as content with the outcome. Those of us who have trained in Martial Arts learned this in our training and I am sure many, if not all of us continue this same thought process in our daily lives in other areas, not just fighting. However, I honestly cannot believe that any of us, especially in our field of work and more so, our skill of mental and physical self, would have come to the conclusion in our minds that we would, or could, be shot to death by this guy. Instead, we all would have been thinking instead, how well prepared we felt we were as we reacted to the situation. Alex, as all of us would have, just reacted upon his conclusion (Mentally) of his self judgement of the circumstance. He felt he needed to stop this guy rather than let him get away. If someone broke into our home, it would have been no different. We would have tried to stop the guy from getting away. It's hard to accept what has happened here to Alex but an even bigger picture has been drawn here for all in the Martial Arts. Does this tragedy now give us all the message that when faced with such a situation, to now stop and do nothing? Sure, we are taught that if we have to use our hands and feet, we didn't use our head. HOWEVER, from what we have been told, Alex wasn't "Attacking" the guy. Sources have told us that he was trying to stop him from getting away. Some have said he was shot through the guys window while another story says he was reaching in the window for the guys keys. Time will tell soon which is correct. ALL of us know Alex was taught to control a situation as others have who have Martial Arts training and this appears to be what he was doing. Sure, "HINDSIGHT" is 20/20. Anyone can say he should have just got the guys license plate. But those saying this, I would bet money on, that in the heat of the moment, they would have done exactly what Alex did. Chased the guy to try and control the situation, to stop him now so the police would not be looking for him as they still are today. One witness had a camera, yet he was in such shock, he couldn't snap a picture. Is this a mistake of his or a reaction? Didn't he too react upon the situation? Hindsight says "Why didn't the guy snap a quick photo of the guys car?" But we were not there, it didn't happen to us, and these things all happen so fast, as did Alex's reaction to it all. A picture would have been helpful now, but in the moment, he choose to try and save Alex's life instead. Something all of us would have chosen to do. In the heat of the moment, things change inside us. The moment has a way of changing our mind on the street far more than a prepared ring fight where we expect what could happen and know the limits of what will not, such as a gun in our face. The reality of all this is Alex made a logical as well as justified decision that under normal circumstances, (If there is such a thing) would have been the rational and expected thing to do. The outcome here has left us all forever questioning our future decisions... This tragedy has made us all stop to think about the world around us. Strange how tragedy has a way to bring us all together in our line of work and in our sport. Let us all never forget this. 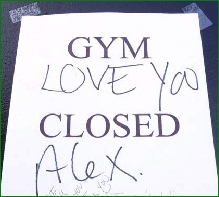 Let us never forget Alex. For all of us are related to each other as martial artists. "You are Gods Champion Now!" Alex Gong was always a story just waiting to be told, but no one expected that story would end with him dead on the street at 32. Starting at age 9, he spent almost three years in an orphanage in India. He was an Asian kid who grew up in New Hampshire, a high school dropout who went back to school and earned a business degree from San Francisco State. At 23, on a whim, he flew to Chandler, Ariz., to devote himself to a form of Thai kickboxing called Muay Thai. 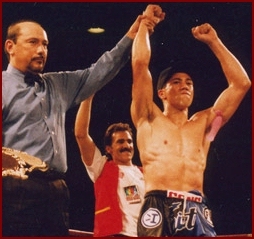 Five years later, at 6 feet and 160 chiseled pounds, he was the world middleweight Muay Thai champion and appeared on ESPN, HBO and the television show "Walker, Texas Ranger" with Chuck Norris. He was also a notorious prankster. "When you walked into this gym," said one regular yesterday, "you were either going to get sprayed with a lot of water or get your shorts pulled down." And he was a devoted role model and surrogate parent to CJ, the son of his girlfriend, Mai Tran. It was easy for everyone who knew him to believe all of those things about Alex Gong. What they can't believe is that he was slain Friday. "When Mai (his girlfriend) called me, she said there had been an accident," Gong's mother, Nita Tomaszewski, said Monday, eyes welling up once again. "I thought he might be hurt. And I said I could deal with that. Because I knew he was indestructible." They keep trying to explain it to CJ in a way that makes sense when you are 9 years old and have modeled everything -- your haircut, your walk, your gym shorts -- on your buddy Alex. "CJ keeps asking why," said Tran, who had been Gong's girlfriend for five years. "He wants to know how did he shoot him? And why did he have to shoot him there (pointing to her heart)? He says, if he shot him here (pointing to her stomach) he could have been revived. I just never, ever figured he wouldn't be part of our life." Things were slow and lazy Friday afternoon at the clean, well-lighted gym just off Fifth Street. Instructor and fighter Linda Loyce had just finished her work on the heavy bag and "was putting off doing my pull-ups. I was talking to one of the trainers' wives, getting ready to help her get the babies out of her car." That was when a Jeep Cherokee came up Clementina Street, a narrow little alley just north of the Fifth Street entrance to the Bay Bridge, stopped and then backed right into Gong's Jeep with a resounding crash. Loyce remembers looking the driver dead in the eyes and getting an uneasy feeling. "He just pulled away really slowly," she said, "no hurry at all." Wearing boxing gloves and trunks, Gong chased the Jeep down the street. Loyce is sure he was just trying to get some information, not start a fight. When Gong caught up with the car at a red light, he reached for the driver, who pushed him away, then fired a shot into Gong. He died almost immediately. "Alex always had that 'Truth, Justice and the American Way' thing," his mother said. "I remember he called me once and said he came out of his apartment in the Richmond District, and this guy was beating a woman up. He said, 'Mom, people were just standing there not doing anything.' Alex did a technique and took his feet out from under him. The guy said, 'You hurt me.' Alex said, 'What do you think you were doing to her?'" Everyone had an image of Alex Gong yesterday, from the publicity shot on the gym wall, the attack fighter nicknamed "F-14," to the old softie who just bought CJ a new bike. "When he'd see CJ," said Tran, "he'd drop to one knee, and his face would just light up. He wasn't his biological father, but he always said, 'That's my son.' "
"When I got married again five years ago,"' said Tomaszewski, who lives in New Hampshire, "Alex gave me away at the wedding. He said to my husband (Lee Hammond), 'You know it is a family tradition that you have to fight me for my mother.' " Hammond's response: "I said 'Really? Do I have to last a long time? Can you make it quick so it won't hurt so much?' "
Loyce remembers Gong's playfulness. "He was like the dorky brother I never had," Loyce said. "There was a lot of little kid humor, like burping. Somewhere, I know Alex is looking down, happy that I told everyone he was burping at workouts." It was remarkable that Gong held on to his sense of playfulness, considering the trauma he went through when he was about CJ's age. Tomaszewski and her then-husband, James Gong, went through an acrimonious divorce when Alex was 8 years old. In a dispute over the child's custody, Tomaszewski said, her ex-husband took the boy overseas to India and Tibet. In India, Alex was enrolled in Children's Village, a boarding school in Dharamsala. Three years later, Alex turned up, alone, at the U.S. Embassy at Kathmandu, Nepal. He couldn't be traced to his mother because she'd gone back to using her maiden name, and Alex couldn't remember "Tomaszewski." "I guess (his father) got tired of being a single parent," said Tomaszewski, "because he dropped him off at an orphanage. For 2 1/2 years, he really had no parents." "I know he said it was a very difficult time for him," Loyce said. "I know he said he had to fight a lot as a kid. He always said it made him stronger, but I know it was very hard." And for his mother, who didn't know where in the world her only son had gone. "I spent all my resources looking for him," she said. And then, like a miracle, he suddenly appeared again. She said Monday that she was reliving that sense of loss again. She didn't want to complain, she said. She understood budget cutbacks had hit hard everywhere, but she was waiting to get her son out of the morgue. "I'm from New Hampshire," she said. "I thought, this is a big city. Maybe this happens all the time. But this is my baby." As it happened, Tran and Gong's mother came back to San Francisco together. Tran was in Miami when Gong was killed and asked that CJ's biological father keep the boy away from the news reports so that she could tell him herself. CJ kept turning it over in his mind, mostly silently, until yesterday when they were at the mortuary, planning the service. Someone asked the family what Gong would like to have them say. CJ's hand went up. "I know," he said quietly. "The family that kicks together -- sticks together." Alex Gong said that all the time, and the boy remembered. San Francisco, CA, USA: Prepare yourselves fight fans for what I (Steve Fossum) am about to share with you has hit those of us in the Kickboxing World very hard today. Sitting here working late on a Friday night, K-1 USA Promoter Scott Coker called me at about 6:30 PM to inform me of a very tragic loss to the Kickboxing world. Here is what we know so far from the sources we have attained information from. At around 4:35 PM (PST) a car hit another car at the Fairtex Training Center in San Francisco with the driver pulling away without stopping. The person who's car was hit gave chase after the car and caught up with and confronted him. When done so, the driver of the hit and run car pulled out a gun and shot the chaser through his window in the chest. The victim fell back and bled to death within 10 minutes in the middle of the street. 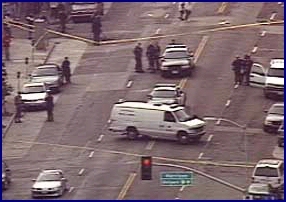 San Francisco's TV CBS Channel 5 Reported: A road rage incident may have led to a deadly shooting South of Market in San Francisco during the Friday afternoon commute. Investigators say there was a minor traffic off 5th St. in the South of Market area, and that the victim of the homicide apparently chased the suspect's car. Witnesses say the victim confronted the suspect at 5th and Clara. "It appears that it was a traffic accident dispute," said Maria Oropeza of the San Francisco Police Department. "The victim chased the suspect, and upon contact, the suspect shot the victim." A witness named Jason said, "He tried to confront the guy. We heard one pop, and he fell to the ground." The suspect's vehicle is described as a green or gray Jeep Cherokee with possibly a broken window. Southbound 5th St. was blocked off at Folsom, and there was another police blockade on Harrison. Traffic was moving in the area as of 6:30pm, but it was very slow. Witnesses say after he shot Gong the driver sped away towards the Bay Bridge but not before several of Gong's students caught the make of the car and his license plate number. The students tried to revive Gong who was actually in his gym working out at the time of the hit and run but were obviously not successful. Once informed, the Police shut down streets near the Bay Bridge but no word on whether the shooter has been caught yet. "This is a sad day for martial arts." 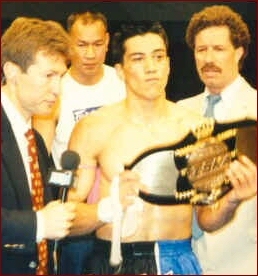 Said Scott Coker, (L) who was responsible for much of Gong's publicized success as a fighter on the StrikeForce Events in San Jose, California shown on ESPN Worldwide. "He did so many great things for MuayThai and the martial arts community, keeping MuayThai alive in America through his spirit and his gym." We here at the IKF knew Alex since his amateur career and watched him become a successful martial artist and World Champion. It's sad that a loss such as this makes you take a step back and think about what our lives are really worth. How meaningless our little troubles and problems are when compared to such an action. That a single gunshot from an unknown stranger can change the course and lives of so many. Excuse me if I am short on words here as to what to offer or say to those much closer to Alex. No words can ease the loss of anyone and no story will either. We can only say we are here for you if you need anything from us, and I believe all in kickboxing feel the same. A funeral will be held Thursday afternoon in Daly City for Alex Gong, a San Francisco martial arts instructor and kickboxing champion who was killed last week after confronting a hit-and-run driver. The services will be at Duggan's Serra Mortuary at 500 Westlake Ave. in Daly City. Public viewing will begin at 4 p.m. Thursday, with a Buddhist ceremony for family and friends from 5:30 to 8 p.m. Burial will be in New Hampshire. Gong, 32, saw a green Jeep Cherokee strike his vehicle parked outside the South of Market gym where he taught Muay Thai-style kickboxing. When the Jeep fled, Gong pursued it on foot, catching up to the vehicle at Fifth and Harrison streets. Police say the driver was an ex-con driving a stolen Jeep and wanted for parole violations. Determined not to return to jail, police said he shot Gong and fled. Later the driver abandoned the Jeep in Millbrae after the shooting, was tracked to a South San Francisco motel Monday. After a 12-hour standoff with police, he shot himself in the head as SWAT team members began to turn over a mattress under which he was hiding, according to South San Francisco police. South San Francisco police said the shooter had left no suicide note. 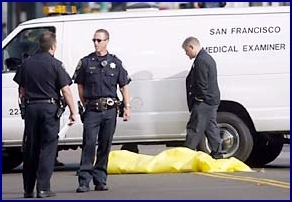 But San Francisco investigators said the ex-con had told his girlfriend he would not be taken alive. San Francisco police and state parole officials say he was a Missouri native with a history of arrests in Arkansas for receiving stolen property and resisting arrest, and in California for weapons violations and auto theft. He had failed to comply with his parole requirements since his last release from state prison in July 2002, state officials said. For the past year, San Francisco police said, he has been part of a loose ring of San Mateo County methamphetamine users and identity thieves. A computer hard drive he allegedly used in those identity crimes was recovered in the South San Francisco Travelodge where he died, San Francisco homicide Inspector Michael Johnson said. It had been destroyed. Police say there are still unanswered questions in the case, including the identities of two women reported to have taken items from the stolen Jeep after it was abandoned and the shooters history, such as his claim that his family had been killed in a car accident in Texas and that he had shot a police officer in that state. However, Johnson said, while they are still awaiting a ballistics test of the gun that killed Gong and the one the shooter used on himself, police are confident that Gong's homicide is solved. Daly City, CA, (651) 756-4500. Immediately following the funeral we will gather at Fairtex in San Francisco to celebrate Alex's life. 444 Clementina Street San Francisco, CA. While we understand that everyone would like to pay their respects, we politely request that no one attend the family viewing unless invited by Alex's family. Friends, family members and those who once trained with world champion kickboxer Alex Gong, 32, formerly of Sanbornton, gathered Wednesday to say good-bye to him. Gong was shot and killed outside his gymnasium in San Francisco on Aug. 1 by a man who struck his parked vehicle and fled the scene. Three days later the gunman killed himself in a motel room after a 12-hour standoff with South San Francisco police. 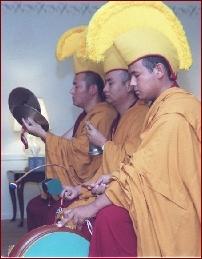 Three Buddhist monks from the Dolma Ling center Lebanon celebrated Gong's life with a traditional ceremony which included prayers accompanied by a drum, bells and symbols. Celebrating the service were the Venerable Gesha Gaylon, the Venerable Jigme Rapten and the Venerable Pama Dori, all members of the Gaden Jangtse Tsawa Khangtsen monastery in Mundgod, India. Center director Jane Dvorak Compton told the 60 people at the service which was held at Smart Memorial Home that the Buddhists believe in reincarnation. "The prayers must be said in time so there is no delay in his rebirth. The priests are highly honored to be here. Alex will be well taken care of," Dvorak Compton said. A similar service was held in Daly City, Calif., just outside of San Francisco last Thursday. Mourners at the service were greeted by his mother Nita Tomaszewski and her husband, Lee Hammond. 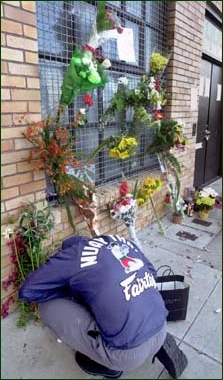 The casket spray featured a bouquet flowers with a pair of boxing gloves attached to it. On either side of the casket were collages of photographs which told the story of his life. They included photographs of him as a toddler, his early and late school days, many of him and his mother and grandparents, some with his fiancee Mia Tran and her son, CJ, and several of him in training or in a kickboxing match. A separate collage showed him with his teammates on the World Team USA Muay Thai kickboxing team. Gong's life reads like a story from a novel. His mother and father divorced when he was a young child. He was kidnapped by his father when he was just 8 years old and taken to Asia and left in a school in India. Three years later he showed up at the American Embassy in Katmandu and said he wanted to go home. A few days later he was reunited with his mother. He attended schools in Sanbornton, Franklin and Tilton and eventually dropped out of high school. However, he later earned his high school diploma and went on to earn in business degree at San Francisco State University. He moved out west and studied Muay Thai, kickboxing. He owned and operated training centers in San Francisco and Daly City. He was in the process of opening a center in New York City. He was a successful businessman and world champion kickboxer. He was featured on HBO and ESPN and fought in Las Vegas. He is survived by his mother Nita Tomaszewski and step-father, Lee Hammond, his father James Gong of Santa Clara, Calif., his fiancee, Man Tran and her son CJ, his uncle Andrew Tomaszewski of Franklin and his great-aunt Jane Hutchinson of Rye. A private burial will be held at a later date in the Webster Place Cemetery in Franklin near to where he and his mother once lived. My condolences and prayers go out to Alex Gong's family. Alex was one of the fighters that has helped to make our sport well know. Please keep his family in your prayers. This is so bad. We at Academy Kickboxing are so sorry that happend, it will change our lives forever. You were a great friend to us. Please our sorrows to his family. Alex we always will love you and miss you, your now GODS great champion. There are no words to express my sorrow of the news of Alex losing his life today. But I will say for the times I met him over the last 13 years, he was a super nice and respectful guy...and a very good fighter! I hope all of us will remember "all" of the "Good Mememories" he left in this world... One of mine is being at a San Jose fight and witnessing his entrance into the ring and not being able to hear for the next hour because of all of the cheers and applause for the popular champ! :) For the Fairtex Team, although we are sadden and wounded by this senseless act, all I can say is in the spirit of Alex...He would want you to continue his work...so hold your head up soldiers and Forward...March! God Bless! Just wanted to say sorry to hear.. He was a great champion!! Thank you Johnny D. We will continue to march on.We will continue the legacy he help create for the muay thai community. : There are no words to express my sorrow of the news of Alex losing his life today. But I will say for the times I met him over the last 13 years, he was a super nice and respectful guy...and a very good fighter! Wow. Don't know what to think about this. Alex always seemed to be a very nice person. He seemed to have much passion for the sport of muay thai. I'm very sad to see this. I did not know him personally very well, but I have known him and seen him around for many years, and he was always a very energetic and happy person. Protect yourself at all times - In the ring and in life because people will be evil and violent. Sorry for trying to give a lesson out of this thing, but this is what comes to my mind. I'm sad and very sorry for the loss of all his friends and family. We here at Team Prathet Thai also would like to mourn the loss of such a great person. We never met him, but we feels as if we did know him by following his career. Bless his family, freinds and alike. In Thai tradition buddist would chant the sutras to keep evil away while he makes the pass to the heavens. In in respect for him, to guide him, we of us at Prathet Thai will keep tradition of wearing a white arm band (dourang) at this years IKF event to memorize him. In Thai tradition a person in a white banner would lead the procession to their eternal rest. I am deeply sadened by the news of Alex Gong being murdered. I was never fortunate enough to meet him, but have heard many great things about him. The Kickboxing community has lost a great champion, the world has lost a great human being. May the almighty JAH bless his family and friends and ease their pain in this time of loss. He will be truly missed by all of us in the sport. May JAH welcome him into heaven. The prayers and thoughts of all of us at Dubuque Martial Arts Group Team Singto Muay Thai will be with Alex Gong's family and friends. Just a quick message to say that we here with the IKF in Australia are sad with the loss of a respected champion in the USA. To all concerned, the name Alex Gong is well recognised here in Australia through the various Martial Arts reports that the IKF newspages report on. May God take Alex under his wing, guide & help us all spiritually in the future of Muaythai. Rest in peace Alex Gong! Alex Gong Reacted to a situation, he did not have time to think, I believe Steve Fossum put it Best (In our Hearts we all would have done the same thing). As martial Artist we train ourselves to react to certain situations, just like in the ring. Sometimes you do not have time to think until its over, we just train and train to react. We are all family, we all feel this great loss. No matter what organization or what corner of the World we live in, it is nice to see we all come together as one Family to grieve the loss of a GREAT MARTIAL ARTIST. So sorry for your loss and fairtex. Alex was a great spokesperson for muay thai and I ve only heard good things from people whove met him. Hope to see you in kansas city. How about naming an award as a memorial for Alex. 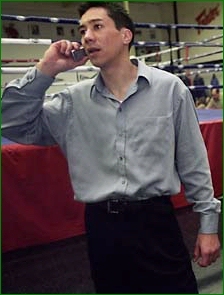 Perhaps the IKF could use its influence to come up with the Alex Gong Memorial award given to the" fighter of the year". I think this would be a fitting tribute for Alex and surely one that all of the kickboxing organizations would support. i spoke to steve about this monday and he said the ikf will definately have some kind of alex gong memorial award, he said the only question was how it would be awarded and for what. there was some talk about having some type of an award at the ikf and fairtex tournament but steve said he wanted to make sure it was ok with fairtex and the muay thai groups. he doesn't want to disrespect anyone. i was surprised that steve took the alex thing pretty hard. not to disrespect steve but i didn't know he knew alex so long. although not close friends really, because they lived so far apart, steve had a lot of respect for alex and what he had accomplished in his life and what he has done for muaythai. maybe this was the reason we saw so much on the ikf news page on alex. from what i took from it, his main desire is to assure alex is never forgotten by any of us. This is a sad day for martial arts. He did so many great things for MuayThai and the martial arts community, keeping MuayThai alive in America through his spirit and his gym." "A true champion will overcome all obstacles in as well as outside the boxing ring" - Alex Gong You are a great friend and a great fighter. You will always be in our hearts. We will miss you! It has been confirmed that world light middleweight Muay Thai champion ALEX GONG has been shot and killed by a hit and run driver who later took his own life rather than surrender to police. "Gong was a dynamo and almost single handedly kept Muay Thai alive and prospering in the San Francisco bay area with the (now) famous FAIRTEX gym." Said Stephen Quadros. 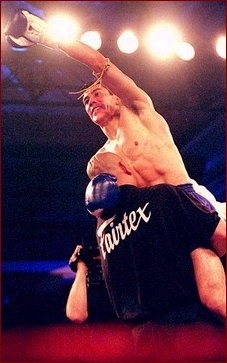 "Entrepreneurial in nature, Alex attracted many top fighters from kickboxing, Muay Thai and mixed martial arts to train at Fairtex, which solidified it as a brand name. He was well known to audiences who attend the K-1 shows in Las Vegas, where he fought regularly. The martial arts world has suffered a great loss. Alex Gong was a real life hero. My heart goes out to Alex and his family." Rest in Peace I am shocked and saddened by the death of Alex Gong. To the Gong family, the Fairtex Camp, Alex's friends and peers, I send my deepest condolences. Rest in Peace Alex! Members of Prokick are this week joining together with Billy Murray to pay respect to the family, friends and students of Mr Alex Gong (Dr Knee) who was tragically murdered this week in San Francisco. 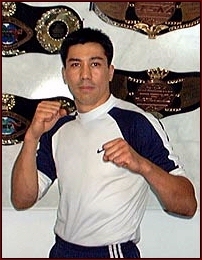 Alex was the head coach and owner of the highly successful Fairtex gym in San Francisco. He was a perfect example of a man dedicated to Martial Arts and over the years and up until his untimely death trained many of the top names in the history of kickboxing and Martial Arts. Some who competed here in N.Ireland. Alex visited the Prokick camp in 1996 when he and an American team took part in the first Kickboxing Mania at Dundonald International Ice Bowl in Belfast. THE USMTA Wishes to express our sincere condolences to the family of Alex Gong on the untimely passing of a true American champ and an icon for American Muay Thai. We further extend our condolences to all at the Fairtex Muay Thai Training Camp. Today we grieve the loss of one of our own. He was the type of individual that just considering him as "one of our own," made us feel better about who and what "we" are as individuals and as members of an industry. The painful loss of his life is magnified ten fold by the nature of how he lived; with passion, purpose, dedication and the type of commitment that separates those who aspire to greatness, from those who are willing to accept less. When I find my thoughts turning to Alex Gong, they are not of the near shutout he pitched to earn his world title belt, or the epoch battles that he endured as champion, but rather of the fire in his eyes when he discussed his art. The worlds "Muay Thai" were magical coming from Alex. Such was the nature of his passion, and his purposeful living. His pride was not in his own accomplishments or his title, but in the progress that the art of Muay Thai made in America as a result of his efforts. Death is often described as the state in which one continues to live only in the memories of those who lives you've touched. Alex lives on, across America and around the world through the many he instructed and through the great many more he inspired. To his family, friends and the entire Fairtex community, we offer our sincerest condolences. 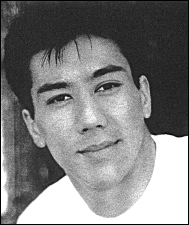 SAN FRANCISCO - Alexander "Alex" James Gong, 32, formerly of Sanbornton, died suddenly Aug. 1. He was born in Boston and raised in Sanbornton. He moved to California in 1991. He attended Sanbornton Central School, Sant Bani in Sanbronton, Winnisquam Regional High School in Tilton and Franklin High School. He earned a degree in business from San Francisco State College. He was a world champion kickboxer and martial arts competitor, mainly in Muay Thai, for 25 years. He competed in middleweight and welterweight Muay Thai. He appeared on the television show Walker, Texas Ranger and on ESPN, the Learning Channel and HBO. Gong opened the San Francisco branch of the Bangkok-based Fairtex Combat Sports Camp in 1996 and opened a branch in Daly City, Calif.. He was a Buddhist. Survivors include his mother and stepfather, Nita Tomaszewski and Lee Hammond of Sanbornton; his father, James Gong of Santa Clara, Calif.; his fiancee, Mai Tran of San Francisco, Calif.; aunts and uncles, including Andrew Tomaszewski of Franklin; and a great-aunt, Jane Hutchinson of Rye. Calling hours will be held tomorrow from 1 to 3 p.m. at William F. Smart Sr. Memorial Home, Franklin-Tilton Road, Tilton. A Buddhist service will follow at 3 p.m. at the funeral home. Burial will be held privately at a later date at Webster Place Cemetery in Franklin. Memorial donations may be made to the Alex Gong Memorial Fund, Wells Fargo Bank of California, Acct. 3443012574, c/o Nita Tomaszewski, 754 Sanborn Road, Sanbornton 03269. William F. Smart Sr. Memorial Home in Tilton is in charge of the arrangements. 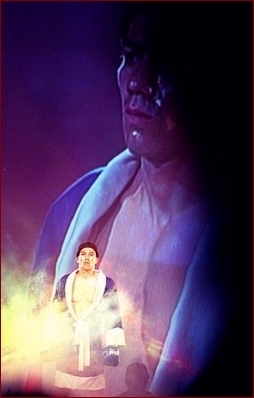 1999 Art of War - USA vs China card in Honolulu, Hawaii. Pitured but not in order are: IKF Champion Rudi Ott, Allan Maravilla, IKF Champion Jongsanan "Woodenman" Muay Thai, Al Loriauex, Alex Gong, Phicheat Deackboran Sitphodang Arunleung, Enn Quiet Storm Janthakhun, Jason Yee, IKF Champion Enn Fairtex and Anh Fairtex.